Havas-owned Maitland has become the latest agency to recruit practitioners left without jobs after the collapse of Bell Pottinger, hiring former partner Clinton Manning and two of his team. 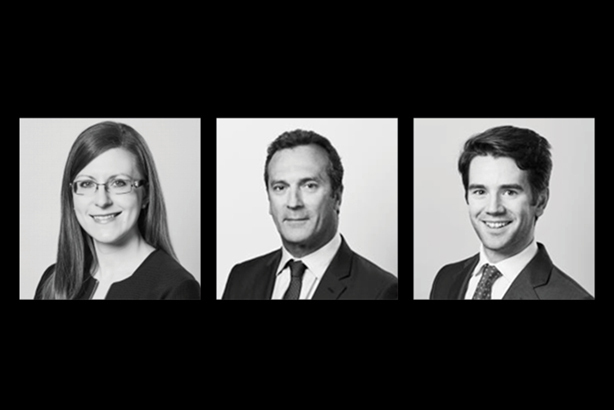 Manning (below right) joins as a partner, while Sam Cartwright becomes associate partner and Joanna Davidson joins as senior consultant. All three began work on Monday. On Friday, PRWeek reported that 23 of the roughly 175 former UK staff of Bell Pottinger had joined independent agency Pagefield, with most of these joining Pagefield's new sister firm. That same report also detailed hires by agencies including Celicourt, FTI, FleishmanHillard and Lansons. Financial, corporate and political comms specialist Maitland has taken on the trio to boost its retail and consumer industry team. They previously worked in Bell Pottinger's financial and corporate practice, although there is no suggestion they were involved in that practice's ultimately fatal dealings in South Africa. It is not clear which former clients of Bell Pottinger, if any, the trio will bring to Maitland. Manning's profile on the Bell Pottinger website refers to him working for TalkTalk, Birds Eye, Mountain Warehouse, Fortnum & Mason and others. Manning spent five years at Bell Pottinger, prior to which he spent nearly two decades as business editor for the Daily Mirror. He also worked at The Sun and and Birmingham Evening Mail prior to that. Cartwright joined Bell Pottinger four years ago from law firm Allen & Overy, while Davidson joined Bell Pottinger earlier this year after two years with Cicero. Maitland CEO Neil Bennett said: "I am delighted to be bolstering the talented team at Maitland with three such high-calibre recruits. Each of them comes with an impressive array of skills and relationships and I look forward to working with them to build on our strength in retail, leisure and consumer industries."